Our Student Library Advisory Committee is back for the 2016/2017 year. The committee was created to enhance library services to better meet the evolving needs of students’ experience at the library. The student members act as our think tank by providing us with feedback and suggestions on a wide variety of topics and upcoming projects within the library. and Colour our Collection colouring pages. Students have also offered their perspective on the new Digital Scholarship Centre that is in the beginning stages of development. The new centre will be located on the second level of Cameron and aims to provide physical and digital spaces for scholars across all disciplines. These centres make it easier to participate in digital environments by providing access to shared infrastructure, opportunities for interdisciplinary collaboration, and a space to explore common interests and concerns across disciplines and institutions. SLAC members asked questions and gave suggestions for the new centre regarding training, if there would be possibilities to partner with the Technology Training Centre, and if there would be resources for virtual reality. 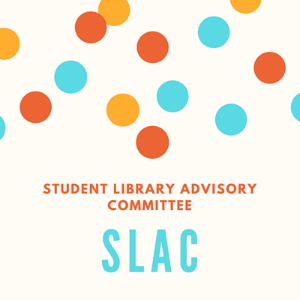 If you would like to find out who the current SLAC representatives or read the meeting minutes, please visit the SLAC webpage. Curriculum Time Turner - Historical AB School Textbooks are Online! For a trip down memory lane (without jumping in the DeLorean), you can now peruse our online collection of 1,800 historical textbooks that were used in Albertan schools as far back as 1885! The Wiedrick Collection is a gold mine for researchers and teachers interested in the history of education in our province. 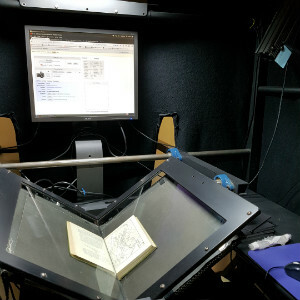 The digitized items allow for keyword searching, are downloadable in a variety of formats and include information regarding when and what subject it was used for. The print collection is housed in the H.T. 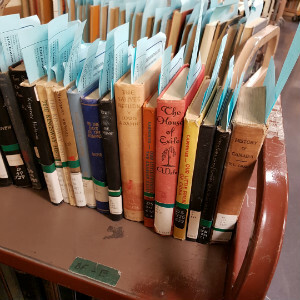 Coutts Education & Physical Education library and is in the process of being digitized thanks to a bequest from the estate of Mary Wiedrick, wife of the late Laurence (“Laurie”) Wiedrick. Laurie Wiedrick [1925-1982], was passionate about preserving the milestones of the education system. He worked as a teacher-librarian in Toronto, Calgary, and Edmonton as well as a Supervisor of School Libraries for the Edmonton Public School Board. 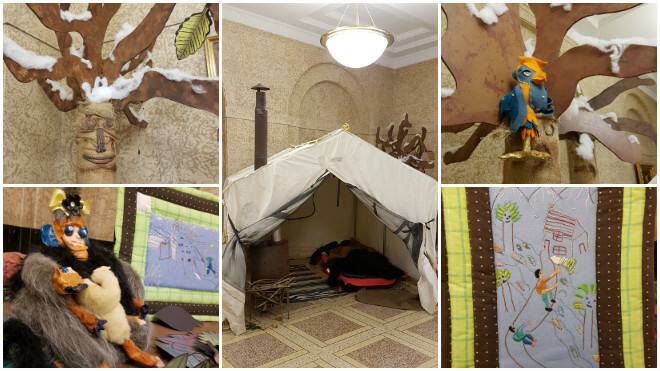 After joining the University of Alberta's Department of Elementary Education, he coordinated the University's Curriculum Laboratory which included the development of the Historical Curriculum Collection in 1964. Fast forward to 2016 and it is now one of the most comprehensive collections of this nature in the province. In addition to textbooks, it also includes historical curriculum guides. Wiedrick was later awarded a full professorship in Elementary Education and helped to establish the University's School of Library Science. and a plethora of instructional videos on topics such as business management, computer programming and other career related skills. 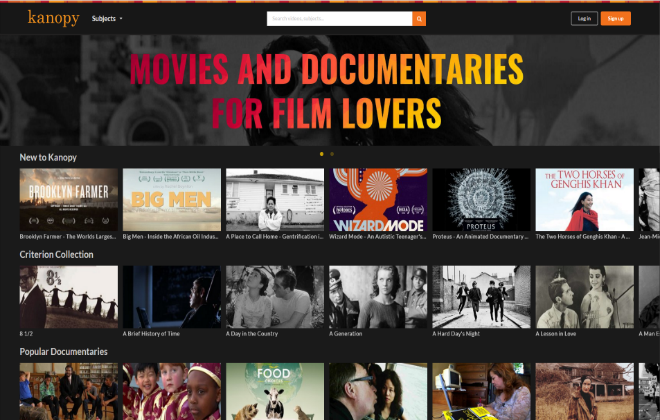 Kanopy has over 26,000 films from leading producers such as HBO, PBS, New Day Films, First Run Features, and BBC. Their website is easy to use to watch, share, and discuss films across campus. Rutherford Library is proud to be hosting Wooooodland, a sculptural and mixed media art display until December 23, 2016. The artist, Leona Clawson, is Stantec's Artist of the Year from The Nina Haggerty Centre for the Arts. 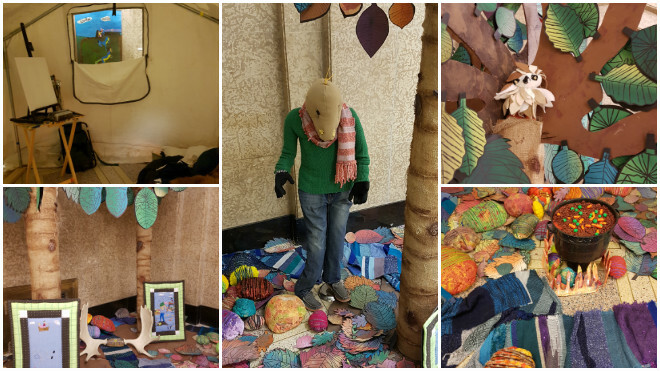 Stop by to visit this playful and immersive display in Rutherford South. On November 22, Lindsay Johnston, Public Services Manager for Rutherford Library and Weir Law Library, was recognized for her outstanding performance and exceptional contribution to the University of Alberta. 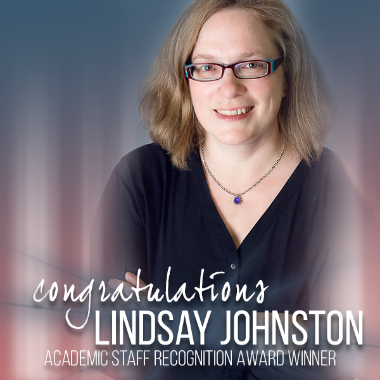 Lindsay was nominated for the Academic Staff Recognition Award by colleagues. This award recognizes employees who contribute to creating a positive culture within their department and a healthy work environment, bring their best selves and an innovative approach to work, serve as an outstanding U of A ambassador, and are a valued team player. In her nomination, Lindsay’s colleagues described her genuine care, approachability, and the great sense of humour that she brings to work every day. Lindsay is known as a reliable, fair, non-judgemental person who goes above and beyond to advocate for the staff she supervises, her colleagues, and all library users. She is considered a mentor by her librarian colleagues and always keeps staff informed of service changes. In addition to her role as Public Service Manager and Subject Librarian for Slavic Studies and Philosophy, Lindsay is an active member of a range of University of Alberta Libraries teams. She is currently the Co-Chair of the Student Library Advisory Committee and is a crucial voice in our Public Services Council. Lindsay is also very involved in numerous associations within the provincial, national, and international library community. She is frequently involved as a committee chair, executive member, or event organizer. Lindsay also models work-life balance and community involvement beyond the university for everyone at Rutherford Library through her volunteerism with the Edmonton House of Welcome where she worked to sponsor a Syrian refugee family. Free access to the latest news! Interested in what’s going to happen when Trump takes over as President? Or just want your horoscope? Use your phone, tablet, or computer to find out via the renowned Globe & Mail newspaper. 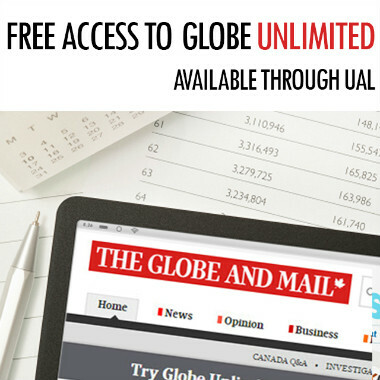 Globe Unlimited brings you even more news than the daily printed paper, with hundreds of additional stories each day and access to exclusive subscriber-only content including business titles Streetwise, Inside The Market, World Insider, and Politics Insider. Click here to activate your subscription, brought to you by the U of A Libraries. Your account activation will be good for 120 days and it can be renewed when it runs out. Images of Research Competition and Exhibition Returning in 2017! 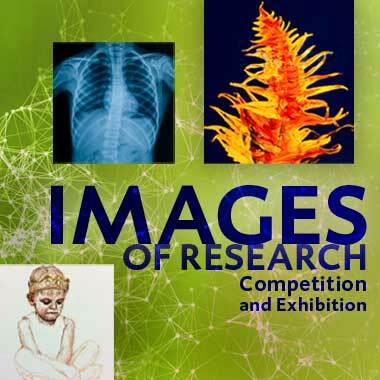 The University of Alberta Libraries (UAL) and Faculty of Graduate Studies and Research (FGSR) are pleased to announce that the Images of Research (IOR) Competition and Exhibition is returning for its second year! Images of Research is an opportunity for current University of Alberta graduate students from all disciplines to capture, share, and present the essence of their research in one image. Last year, we received over 100 stunning entries to the competition and some 2000 votes were cast in the online voting for the People’s Choice award. The winning and semifinalist submissions can be viewed in the Images of Research Competition 2016 collection in the U of A’s institutional repository, ERA. Select exhibited images are also currently on display on the first floor of Cameron Library. For more information about the competition, including eligibility, competition rules, requirements, important dates, and contact information, please visit the Images of Research website. The online entry form will also be made available through the IOR website. Based on last year, we know that U of A grad students are conducting incredible research and are capable of producing phenomenal unique and creative work. We are greatly looking forward to seeing this year’s submissions! Stay tuned for an interview with past IOR winner, Pony Meyer and their winning portrait, King Me!, based on their PhD research exploring the role of drag king performance in the lives of drag kings.